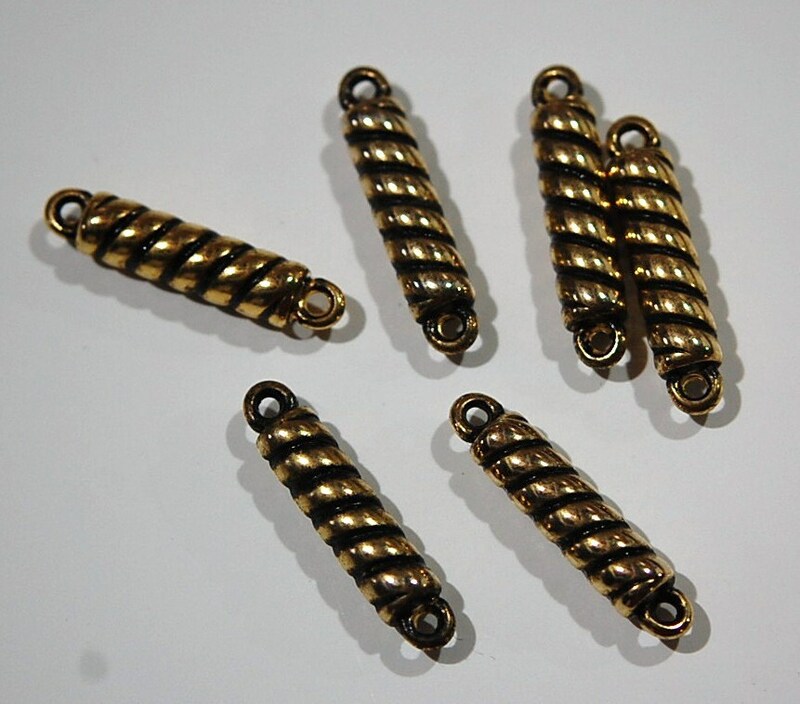 These are vintage acrylic connector beads or links. They have a twist design. There is a loop at each end. 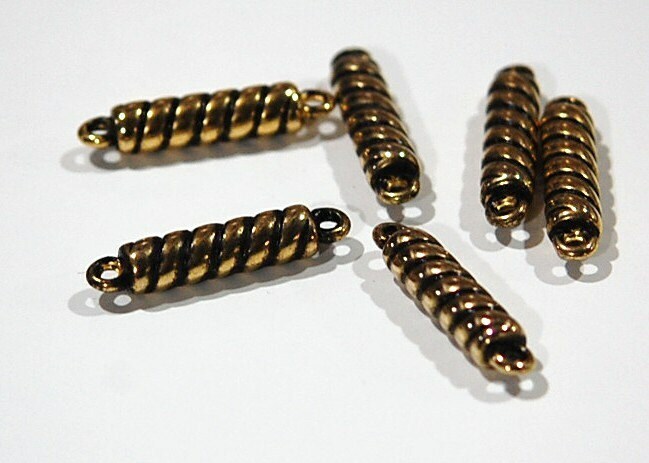 These measure 33mm long X 7mm wide. You will receive 6 pieces. I have these in antiqued silver too.